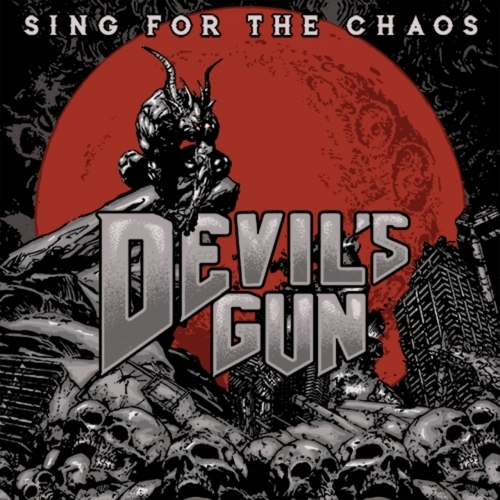 2112 ESTACION DE ROCK: DEVIL´S GUN " Sign for the chaos "
DEVIL´S GUN " Sign for the chaos "
se titula "Sing for the chaos" y sus intérpretes son DEVIL´S GUN. Es su segundo trabajo y esperan tu calificación. 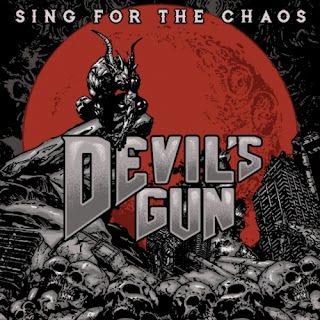 DEVIL´S GUN "Tear down the wall"
DEVIL´S GUN "To the devil"
DEVIL´S GUN "Sign for the chaos"
Pertenecen a la escuela sueca del heavy metal. Éso quiere decir que se han graduado con grandes maestros. cuando editaron su primer trabajo "Dirty ´N´ Damned"
que les sirvió para obtener unas notas muy sobresalientes. DEVIL´S GUN "Queen of destruction"
DEVIL´S GUN "Bad to the bone"
DEVIL´S GUN "On te road"
HOLOCAUST " Elder gods "
PROJECT RENEGADE " Cerebra "
GRAND MAGUS " Wolf God"
FATAL CURSE " Breaking the trance "
STATUE " Comes to life "
FATE GEAR " Headless Goddess "
MIDNIGHT SPELL " Between the eyes "
ROADHORSE " 88 Cubes "
HAMMERED OVERKILL " New war "
HYERATHICA " Revolution now "
ICED EARTH " Enter the realm "
DOGBANE " Burning in the light "
RUSH " Time Machine 2011 : Live in Cleveland" "
PULVER " Kings under the sand "
MAGISTARIUM " War for all and all for won "
TORI LAMOUR " Forged by fire "
HEAVENWARD " A future worth talking about ? " SPIRITCRAFT " Legacy of truth "
TOMBSTONE " Shadows of fear "
99 CRIMES " 99 Crimes "
BRAVERIDE "...Of heroes and innerfire "
SEAX " Fallout rituals "
HELL FIRE " Mania "
DON FELDER " American Rock ´N´Roll "
VIUDA NEGRA " Al final / In the end "
CAESARIUS " Road to Rome "
MIND ODYSSEY " Memories "
RAVYN BEDARD " Strange voodoo "
HATEFLAMES " Tomorrow erased "
SUZI QUATRO " No control "
LANCE KING " ReProgram "
EXUMER " Hostil defiance "